Somewhere in the crowd, there’s you me. Aka the night I went to the ultimate Abba musical. When it’s a cold, drizzly Tuesday evening in the city, a bit of entertainment is much needed. With the current steep cinema prices (enough to buy multiple DVDs from Amazon), seeing a film, albeit on a big screen, seems like bad value for money. For little more than a cinema ticket, however, you can see a real live show. Yes – one with actual people in – singing, dancing, making you feel good about the world. So, this Tuesday, I spent a reasonable £22 on going to the Novello Theatre and witnessed two and a half hours of Abba fabulousness: I saw Mamma Mia. I remember the film Mamma Mia coming out a few years back (funnily enough, I did actually see it at the cinema – but this was back in the day when you got change from a tenner), and the stellar cast alone was enough to make the movie decent, even if the storyline left something to be desired. The London show uses the same narrative, songs and characters as the movie, and is reassuringly familiar, yet utterly different. Having seen the film, I couldn’t help comparing the stars of the stage show to Meryl Streep, Julie Walters and Christine Baranski. Despite their on-screen counterparts, these performers did a cracking job. The music, costumes, comedy and (let’s face it) fairly very good looking cast made for a fantastic experience. 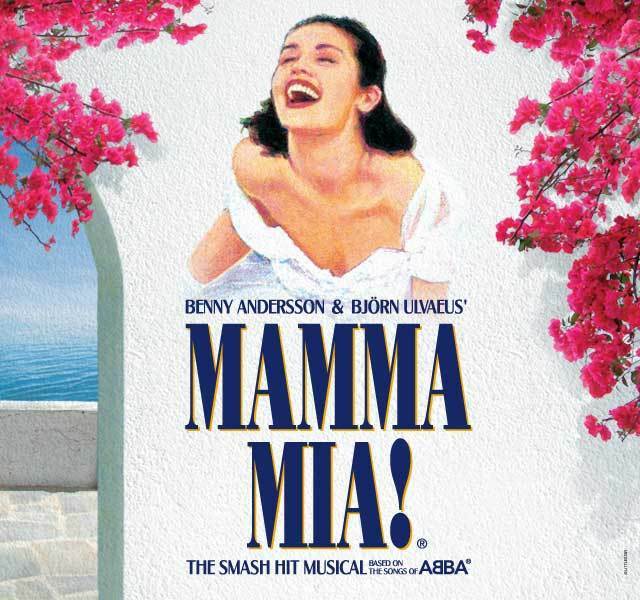 Watching Mamma Mia made me realise a) just how many songs Abba wrote, and b) that I somehow knew nearly all the words to them all. That either makes Abba ridiclouly memorable, or me kind of embarrassing. Or both. The best thing about seeing a live show is the reality that at any moment, something could go wrong. Admit it – when sitting in a theatre, there is a tiny part of you wondering what would happen if someone forgets their lines/trips over/gets drunk in the interval and changes the entire second half. That, thankfully, didn’t occur on this occasion, which was lucky as the final numbers of the show are incredible. A lot of shiny trousers, a fair few pairs of platforms, a tonne of energy and music, and you have the ultimate feel-good finale. The audience were up on their feet singing to Waterloo, and I realised that as much as my brain could have been broadened that evening by watching a BBC documentary, seeing a Shakespeare play or visiting a museum, Mamma Mia made me pretty much as happy as I could be on a weekday evening. Ultimately, the show reaffirms life’s positivity – a happy ending, a lot of singing, and a seat with a pretty good view that didn’t break the bank. This, my friend, is what London is about. Another fantastic article Hari about a fabulous show!